Brian Ross Thompson, 56, of Terre Haute passed away December 1, 2018. He was born April 16, 1962 in Goldsboro, North Carolina to Kenneth M. Thompson and Marlyn J. Pearson. 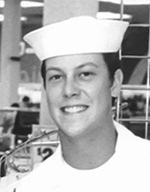 Brian was a member of the U.S. Navy and served from 1981-1987. He worked and retired from CF Industries as an I.&E. supervisor after 18 years. As a child, he spent many years traveling, as his father traveled with the U.S. Air Force. He graduated from LaFollette High School in Madison, Wisconsin. Brian is preceded in death by his parents, his grandmother, Madelon Norton, a stepfather, Walter Pearson, and an infant sister. He is survived by his wife, Jackie Thompson (m. August, 1998), a son, Brice Thompson, a daughter, Breanna Goff and her husband Jeremy, a sister, Julie Nestico, and stepmother, Carol Thompson.